I hope you guys all had a good Easter. 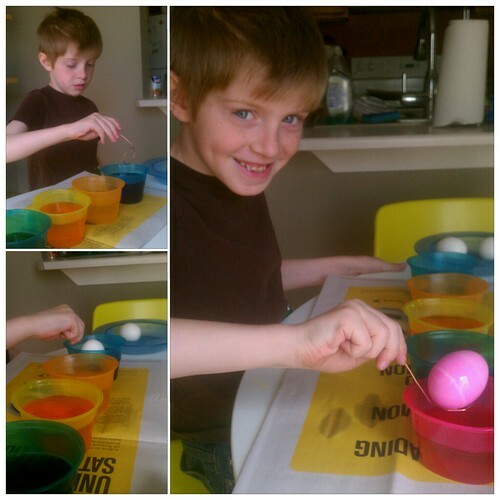 Holden colored eggs on Saturday, but spent Easter day with his dad. It worked out perfectly since I don't celebrate Easter and Ryan's parent always have a dinner. Can't believe how fast this year is going. It's crazy.